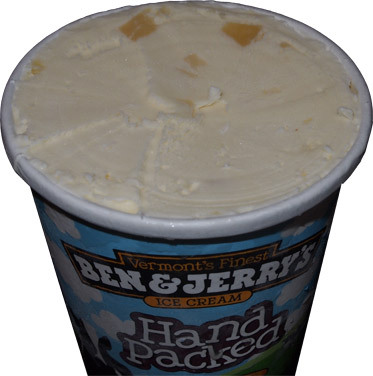 Welcome to On Second Scoop's 2013 Frozen Treat Product Guide. If it's tasty and frozen and new then hopefully you will find it below. Now this post will get updated with better photos and more products as the year progresses, so feel free to bookmark it and come back often. Ofcourse, now that we all know that the newest flavor is Liz Lemon as many had guessed (Nick's review here), I'm not really excited anymore. I mean, lemon greek frozen yogurt with a blueberry lavender swirl? Lavender? really? I mean I'm happy they are spicing up their greek froyo line, but the flavoring hasn't moved any closer to my little realm of happiness. The good news is that like other celebrity flavors, this one benefits Jumpstart. The bad news is that this flavor will be joined by Pineapple Passionfruit (Nick's review here) and Vanilla Honey Caramel (my review here), neither of which excite me. 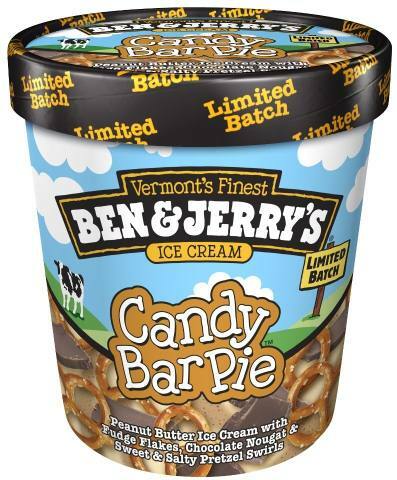 Ben & Jerry's limited edition Candy Bar Pie ice cream is peanut butter ice cream with fudge flakes, chocolate nougat and sweet and salty pretzel swirls. This may just be the best flavor ever, so so so excited. You can try it now at scoop shops or wait until the end of the year for the pint version. 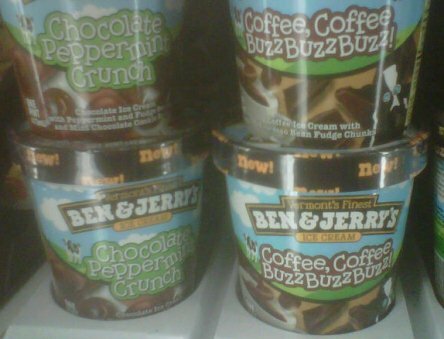 Much like Chocolate Therapy transitioned to a pint last year, Coffee, Coffee Buzz Buzz Buzz! ventures fourth from the scoop shops this year. It's Coffee ice cream with espresso bean fudge chunks. Can't say this is on the top of my try list --- but here's Nick's CCBBB Review. Remember the Pina Colada flavor I got to try last year? Well it will be back this spring/summer as a limited edition flavor. I don't even like coconut but I was thoroughly impressed with this one. The other limited edition flavors will be Candy Bar Pie (shown above, scoop shop review here) and two new Target flavors: Peanut Butter Jam Session (review here) and Rockin' Blondie (buttery brown sugar ice cream with blondie brownies and butterscotch toffee flakes). 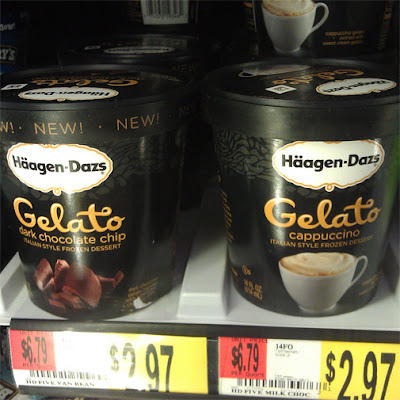 Ohhh, and I'll be visiting my local 7-11 from time to time trying to find the exclusive Nutty Caramel Swirl (maybe I should make that ELUSIVE) --- my NCS review here. 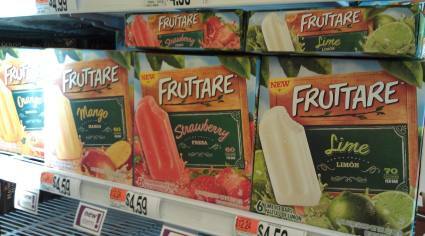 Plus walgreens is rocking their own flavor with Truffle Trifecta, reviewed here. Then, as if all that craziness wasn't enough, Walmart gets *two* exclusive flavors in the form of Chocolate Peanut Butter Cup (my review here) and Cotton Candy (review here). 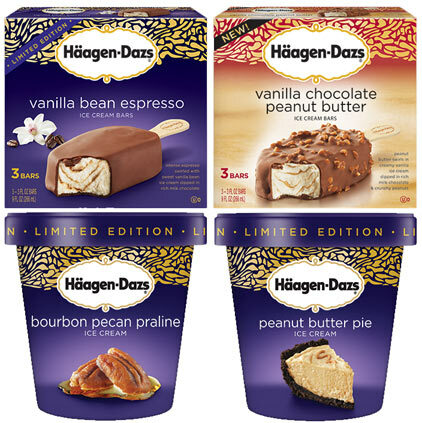 Now technically the new Haagen-Dazs Gelato line up was the first official news of 2013, but my gut tells me it's off to a slow start. Wait, first I should say that the new gelato lineup is replacing H-D's well meaning but flawed FIVE line up. However, it will be curious to see how this goes. The lineup is pints of black cherry amaretto, cappuccino, dark chocolate chip, limoncello, stracciatella and then there are pints and single serve cups of sea salt caramel and vanilla bean. I've already tried the Dark Chocolate Chip, Sea Salt Caramel, and the Vanilla Bean. All were good, though maybe not amazing. I do look forward to trying some of the other varieties. 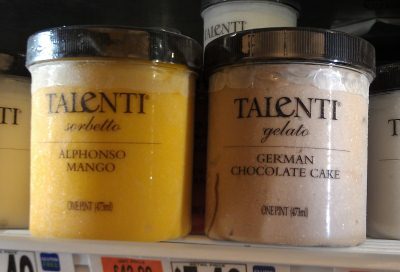 Getting back to Gelato for a second, the always well made products of Talenti are going to have some new friends. We've heard the news that Southern Butter Pecan and Argentine Caramel are joining the gelato lineup as well as these two that I spied these at the grocery storel. Now German Chocolate Cake (My Review Here) was a limited edition flavor at the end of last year, and I've never seen Alphonso Mango before today but there is a facebook post dated 1/3/13 where a handful of people say they had tried it (and everyone else going "IS THIS NEW?!?!"). Also be on the look out for their new gelato bars which should be fantastic. Oh, they will be slowly rolling out new branding (I've seen the new lids but not the new containers yet). Well, I wasn't sure if we should count Breyers BLASTS! Birthday Blast as a new 2013 flavor since it's been teased for so long but I know that these most certainly count. 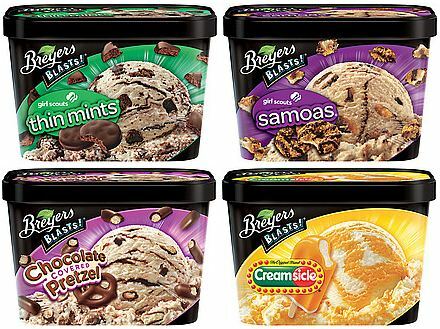 Breyer BLASTS is releasing girl scouts samoas (my review here) and girl scouts thin mints (my review here) and this completely explains why Edy's / Dreyer's ditched their girl scout branding. We've also got the hopefully tasty Chocolate Covered Pretzel (my review here) plus the fruity addition of Creamsicle. I was wondering what Breyers would try next and these all make sense as the BLASTS line becomes more robust (thanks to anonymous for the tip!). Perry’s will be introducing five new flavors under its flagship brand this spring. 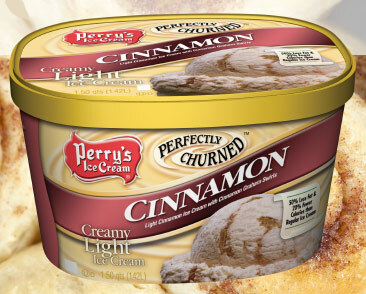 The first one introduced is a new light Cinnamon flavor (light in the calories, not the flavoring). [press release here]. They've also announced a new all natural black cherry flavor as well as new party time ice cream sandwiches. Lastly, Perry's has released 5 new scoop shop only flavors and you can follow along as I try them here. Well it looks like we'll be getting more Magnum Ice Cream bars imported to the states. Magnum Gold?! is vanilla bean ice cream with a sea salt caramel swirl dipped in a golden chocolate coating. The neat thing is that it will debut in both the regular and mini sizes, plus be joined by the double caramel minis (which I'm impressed they can make) --- Woohoo! Gold has been reviewed! Turkey Hill has also their 2013 limited edition schedule up which includes talk of Raspberry Shortcake (July) which is Vanilla ice cream with shortcake pieces and raspberry swirl as well as Key Lime Pie (November) which is Custard flavored ice cream with graham pieces and lime swirl. Now their sneak peek post also mentioned a Rocky Toffee (Milk Chocolate ice cream with chunks of toffee and mocha swirl), but it's not on the schedule, so we will see what happens. 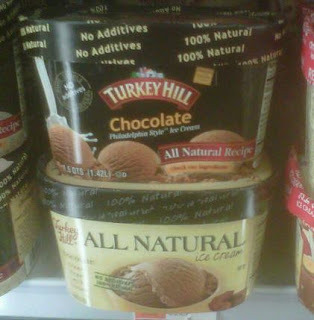 Lastly, Turkey Hill is re-branding their All Natural line. Black is the old style, off-white is the new style with at least eight flavors in the lineup(photo by Nick). I'm looking forward to salted caramel... Holy Freholy!!! I've been asking for an all natural raspberry flavor for years and they're actually going to put one out this summer! SQUEEEEEEEEEE!! WOOHOO!!! --- My Review of rebranded Vanilla. 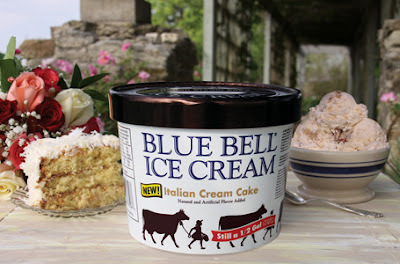 Blue Bell Creamery started off the season with Mint Cookies 'n Cream? Sounds tame right? [press release here] It's got two things that make it different though. 1) Chocolate Chips. 2) the cookies have mint filling. I'd definitely try it (if I could ever get my hands on it), but if you aren't interested, stay tuned, they have several other new products coming out this year like Lemon Bliss, Italian Cream Cake, and Rockslide Brownie. Also be on the lookout for the return of Caramel Turtle Cheesecake ice cream. Blue Bunny hits it's 100th anniversary with lots of new stuff this year. You will also notice that instead of their containers saying "2 More Scoops" they now have a little 100 year logo in the corner. Oh, and since they are awesome folks, they are granting 100 wishes for each of their 100 years. Now Nick has discovered that Blue Bunny is already starting to update their site. The first two things that grabbed our attention were the additon of two more Cadbury bar flavors as well as another Duff Goldman flavor. Caramel Fudge Brownie Sundae (My Review Here) is described as "Chocolate ice cream swirled with caramel flavored low fat ice cream embedded with rich dark fudge brownie pieces and laced with buttery caramel ribbons" and may finally satisfied the overlooked caramel/chocolate combo niche. The new Cadbury bars are Royal Dark (my review here) and English Toffee (Nick's review pending) and considering how good the other ones are, you will definitely will see these bars reviewed sooner rather than later. There are also two new frozen yogurt flavors reviewed here (mint is my favorite of the two). Notice the packaging has been tweaked yet again on these. Blue Bunny is also updating their ice cream sandwiches (birthday party review here). They are described as “new and improved” ice cream sandwiches “with the perfect ratio of cookie and ice cream by increasing the ice cream by 30%.”. 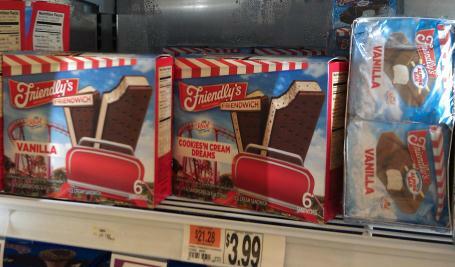 I didn't think they were bad to begin with, but since I adore ice cream sandwiches, I'm definitely excited by this news. In May, Nick discovered yet another new blue bunny product that was left off the press release. 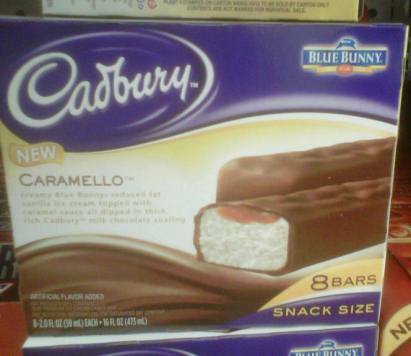 There are new Blue Bunny Cadbury Caramello snack size ice cream bars. These could be meant to compete with the new skinny cow ice cream bars (see below). 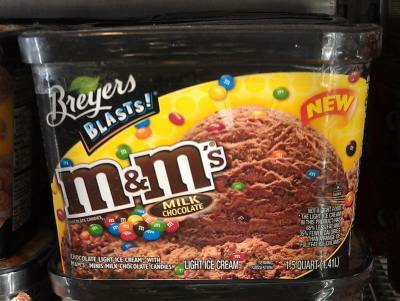 Well well well, look who's joined the 2013 ice cream party nice and early (Feb 6th). It's Skinny Cow with new LIMITED edition flavors. Oh man, did I not say that "slimited edtion" was a terrible name? And now it's gone, but anyway... So Skinny Cow is here to promote Nick's theory that this will be the year of the fruit (flavored treats). 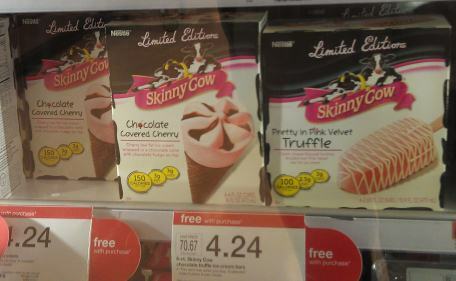 We've got Chocolate Covered Cherry Ice Cream Cones (Nick's review here) and Pretty in Pink Velvet Truffle ice cream bars.You know I'm not a huge Skinny Cow fan but I really like the fact that they've gone with a chocolate cone here and I came >this< close to grabbing the box for my lunchtime dessert. Pretty in Pink is quite unique too as it serves up cream cheese flavored frosting drizzled over Pink Velvet low fat ice cream. I don't know if any of you have had "pink velvet" but from a little quick internet surfing I get the impression that it's not exactly a standard flavor quite yet. Who wants to step up and let us know what pink velvet truffle tastes like? Apparently Skinny Cow also posted a photo of some new limited edition Snickerdoodle ice cream sandwiches on Jan 31st. 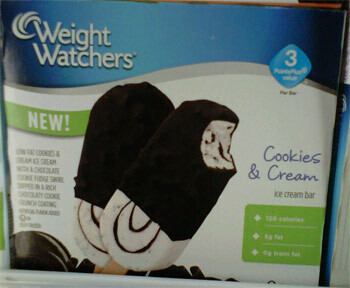 Oatmeal cookie wafers and cinnamon low fat ice cream inside? Yeah, I'll try that... and I did, read my review here. Apparently Skinny Cow isn't done with us because these were added to their site at the beginning of March. 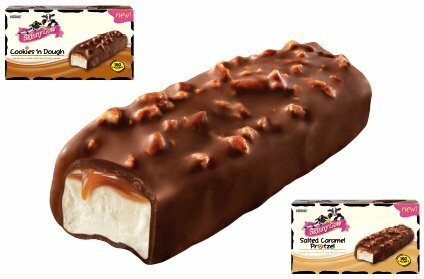 I'm a sucker for ice cream candy bars so I'll definitely try these (see them at a few stores, but not everywhere). 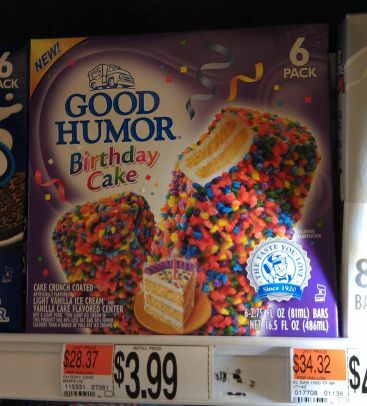 Oh, and in a trend they started last year, Good Humor will continue to expand their line up of holiday themed treats. It's the same flavor, just fun shapes. 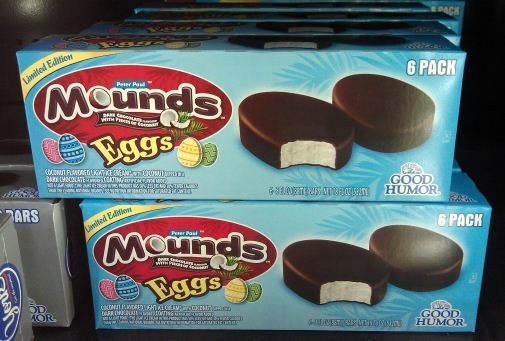 We've got Reeses and Mounds eggs for Easter this year, we had Halloween reeses pumpkins, and there was something else that I can't remember. I think these are a fun idea but stores need to learn to only order a few of each as they look funny sitting on the shelves 2-3 months later. 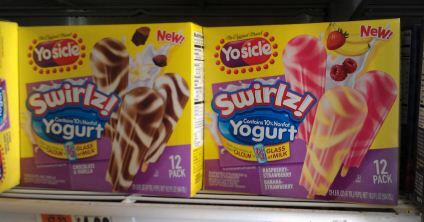 I haven't even tried the new popsicle products from 2012 and here we are with the new Swirlz! variety for 2013. These seem a little more tame then last year so I think I'll actually pick them up at some point. 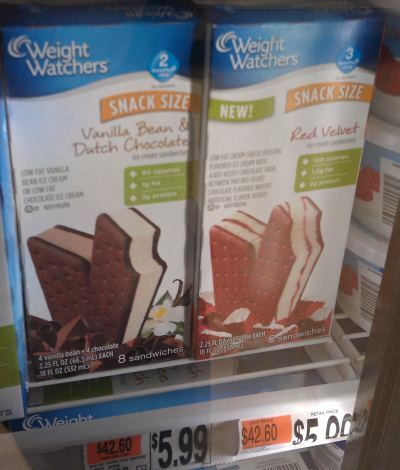 Weight Watchers shows going all out this year as they bring of slew of new stuff to market with these Red Velvet ice cream sandwiches probably being the boldest of the bunch. It's a neat trick as I don't think I've ever seen red sandwich wafers before. 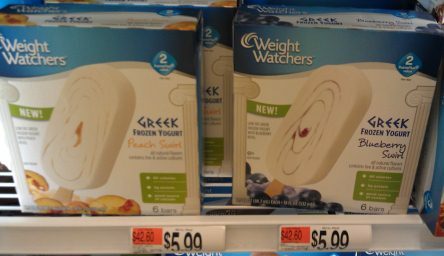 Last one for now, new Greek Frozen Yogurt bars in both Peach Swirl and Blueberry Swirl varieties (review pending). Nick's probably daring enough to try these for us (hopefully they'll be cheaper at walmart). Oh, there is word that Weight Watchers giant latte bars will be reformulated this year (my review here). Ok, one more shot from Nick, the new coated Cookies n Cream ice cream bar. Local Ice Cream Producer Hood has gotten in on the greek froyo craze as well, and in something larger than a pint no less. 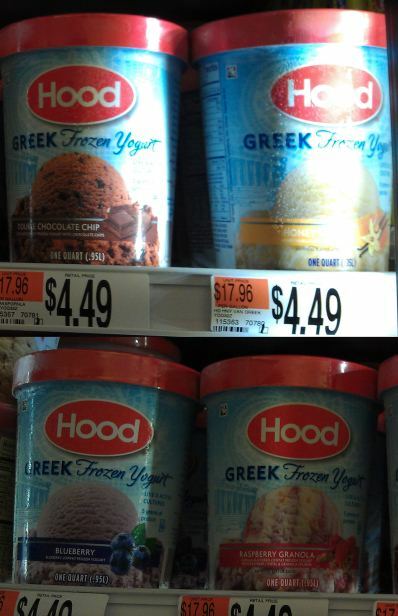 We rarely cover Hood on the blog, but check out the flavors. Can you guess which two have my eye? One: double chocolate chip is something new to the greek scene. Two: Raspberry Granola? Yeah, if it's not too tart, I could totally seeing digging into that flavor --- and I did like it! My raspberry granola review here and then my review of the other flavors here. 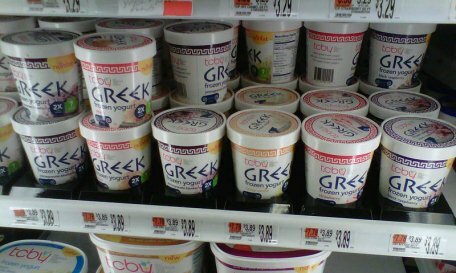 Hood's not the only one jumping on the greek froyo bandwagon because here comes TCBY with no fat and twice the protein. Flavors include strawberry, black raspberry, peach, pomegranate blueberry, and (honey) vanilla. Is anyone NOT in this space now? 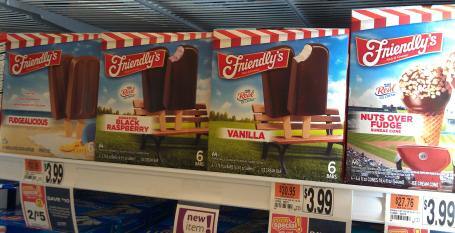 Now Friendly's has always had sundaes-to-go and ice cream containers in stores, but this year they are branching out with a nice variety of products that touch on all the basic treat categories. We've got Friendwich ice cream sandwiches in both vanilla and cookies 'n cream dreams flavors. To the right we've got new Alpine Bars which is as about as close to the Klondike name as you can get. We've also got Fudgealicious fudge bars and Nuts Over Fudge sundae cone (Drumstick anyone?). Last, but certainly not least, we've got fudge covered ice cream bars. Sure the Vanilla is a standard product, but what has me excited is the excellent looking Black Raspberry version. Like I said, they've covered most of the frozen treat basics here and I look forward to trying them all in due time. 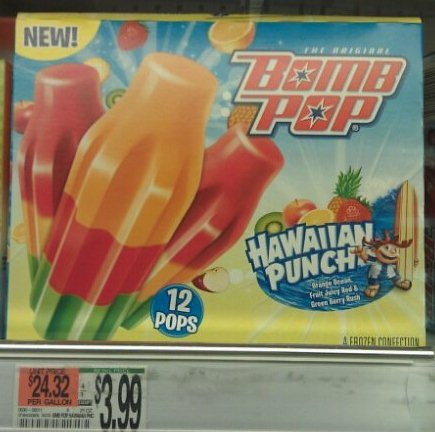 Well, Bomb Pops are getting a make over this year, and they are getting at least two new flavors in Hawaiian Punch and Sour Wower. It's strange how the Blue Bunny logo is gone off the box. 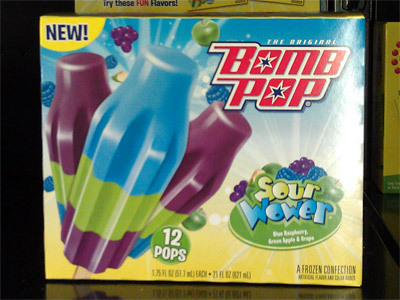 Checking over the website, I had no idea there are 8 kinds of bomb pops (not including the originals), I only ever see the originals --- Blue Bunny (Wells) decided to sponsor a National Bomb Pop day post on the blog, check out my family's experience here. or tweet it @onsecondscoop. Thanks! Bluebell's mint cookies 'n' cream is soo good and I don't even like mint ice cream! Who knows that lavender might tastes good. It go either way: yum or soapy ice cream. Man, not only do I have to somehow coexist with yet another Greek froyo flavor, but lemon and blueberries? Ben & Jerry, what has happened to you? You used to be cool. Now sometimes I feel like I don't even know you. Yeah, you don't pay me enough to review the new B&J's flavor. I've had lemon/lavender butter cookies that were pretty great, but when I think of Liz Lemon I think like.. pizza and donuts. I don't know what they could do with that but for a brand that came out with Late Night Snack I'd expect a little more creativity. The Pretty in Pink Velvet Skinny Cow bars are GREAT. However, I guess they are very very limited editions, because they are no longer in stores or on the skinny cow website. I'm so disappointed. I also can't find the Chocolate Cherry cones. ugh! oh, and notice the website is still running the 2012 "slimited" branding. often companies will get the product out their and then update their site. The change from Turkey Hills Philadelphia style ice cream to this new look is not a good one. The philadelphia style was delicious. They changed the ingredients when they did away with the black cartons. strange, nothing was suppose to change but the packaging. Let me dig into it and try to get some more info. I'm always digging around to see what new product I can find online. I've never seen this before.. could it be new? Wow, nice find! that's definitely new and explains the whole Edy's /Dreyers thing! Tried Candy Bar Pie at a scoop shop on vacation. It's EFFING AWESOME. I can't WAIT for a pint. 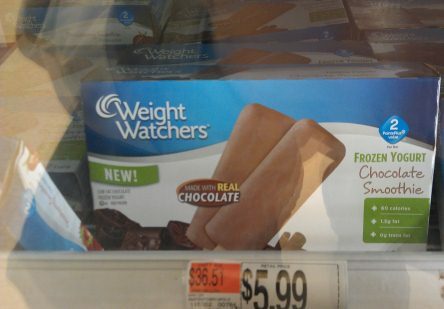 You think I'm daring enough to try the weight watchers greek bars? Heck, I've yet to even try the yasso bars aha. But yeah, CHALLENGE ACCEPTED. Tried the Bourbon Pecan Praline. There's a reason bourbon is listed first. Yowza. It's intense, but completely awesome. I could eat an entire pint easily. Tried the B&J Vanilla Honey Caramel too. I enjoyed it. 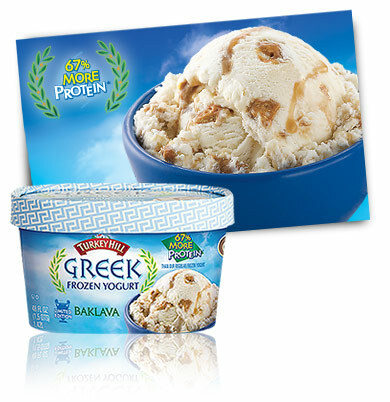 You can definitely taste the honey in the caramel and it pairs well with the tart yogurt flavor.